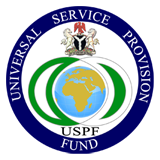 USPF, in partnership with local entrepreneurs and community-based organizations will facilitate the establishment of Community Resource Centres (CRC). The aim is to extend voice, internet and ICT training and other e-services to unserved communities on shared basis and bridge the digital divide in the communities. The centres are fully equipped with desktop computers, furniture, telephone, power generator, and bandwidth to provide access to telephone, internet, ICT and e-initiatives at semi-urban and rural un-served and under-served areas. 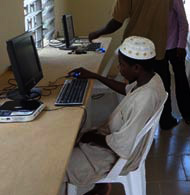 The objective of the CRC project is to promote the adoption of ICT at community level for social and economic development. The CRC offerings include, but not limited to conflict and disaster warning and management, improving farmers' access to markets, information centre for community development mobilization, small scale businesses, e-agric, and community health. This project is funded through grants. The local entrepreneurs and companies are selected through open competitive bidding to establish the CRCs. The grant is provided for capex and initial one year opex. 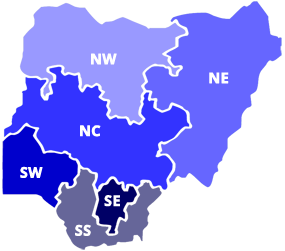 Additional support is thereafter provided in terms of bandwidth provision for the first five (5) years of operation.